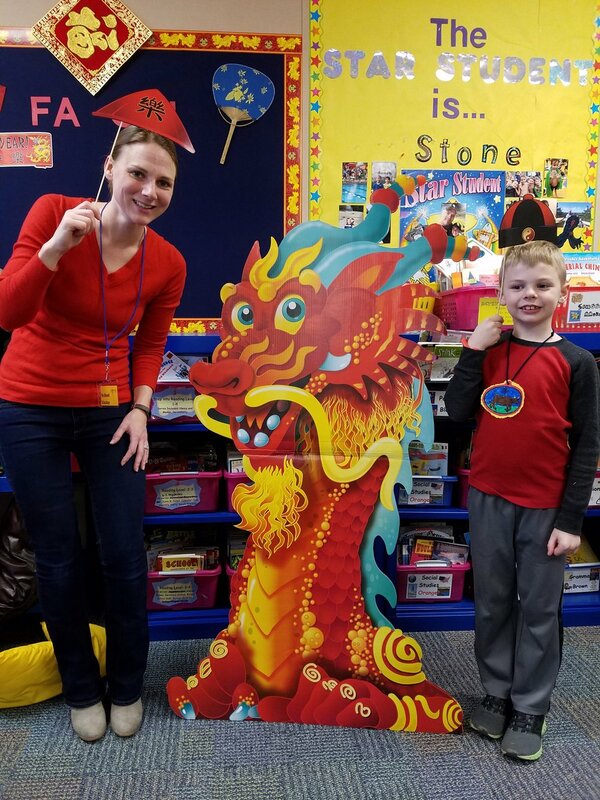 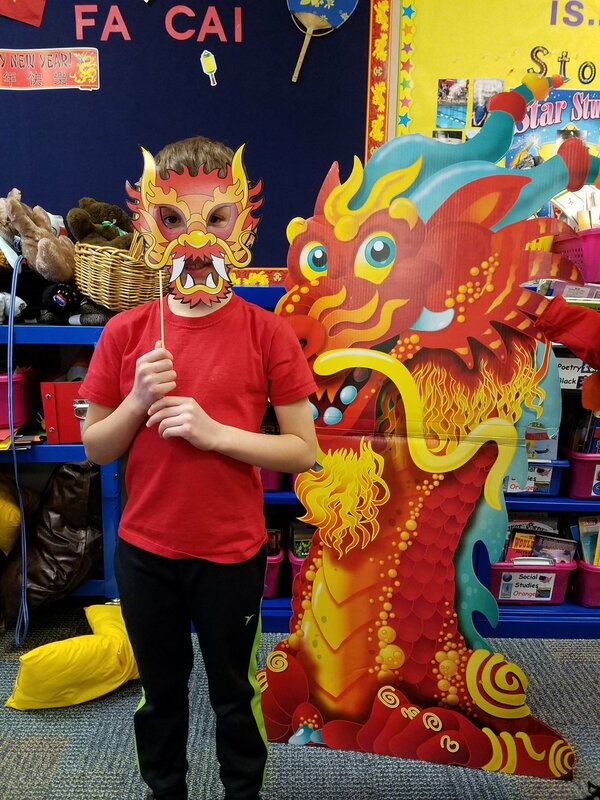 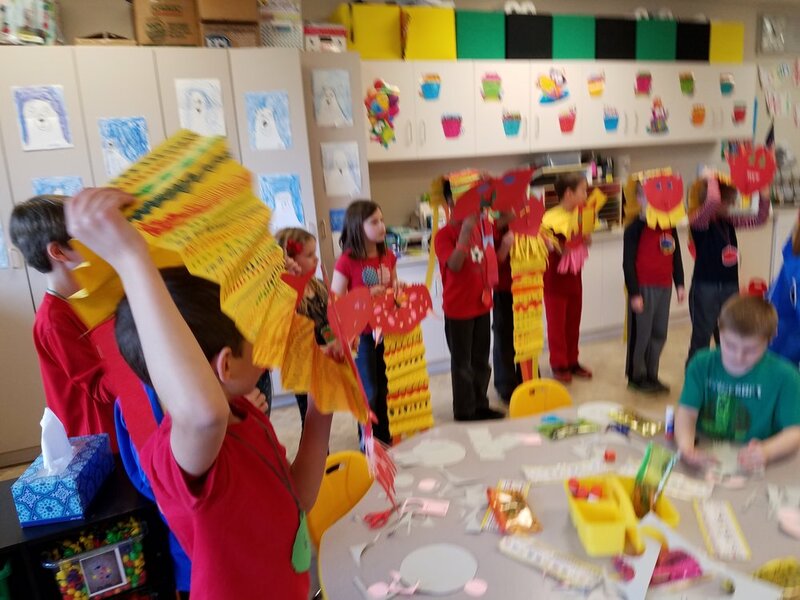 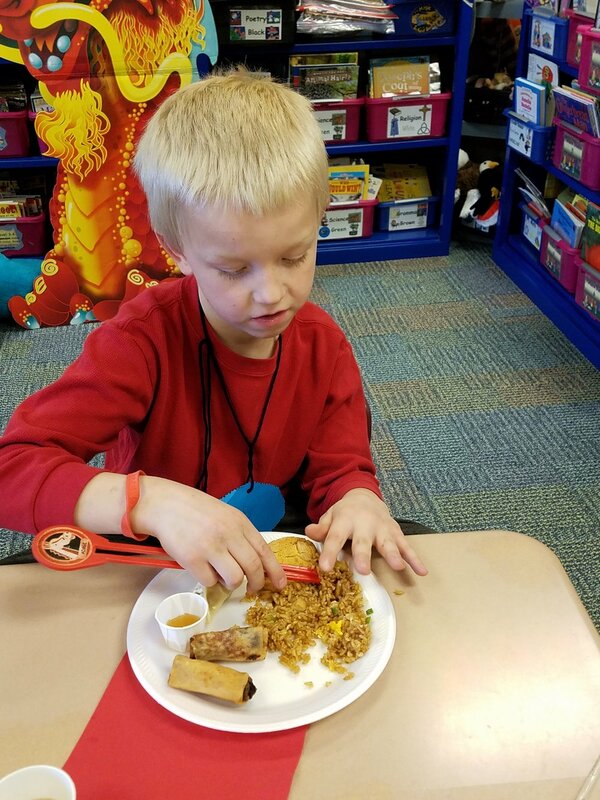 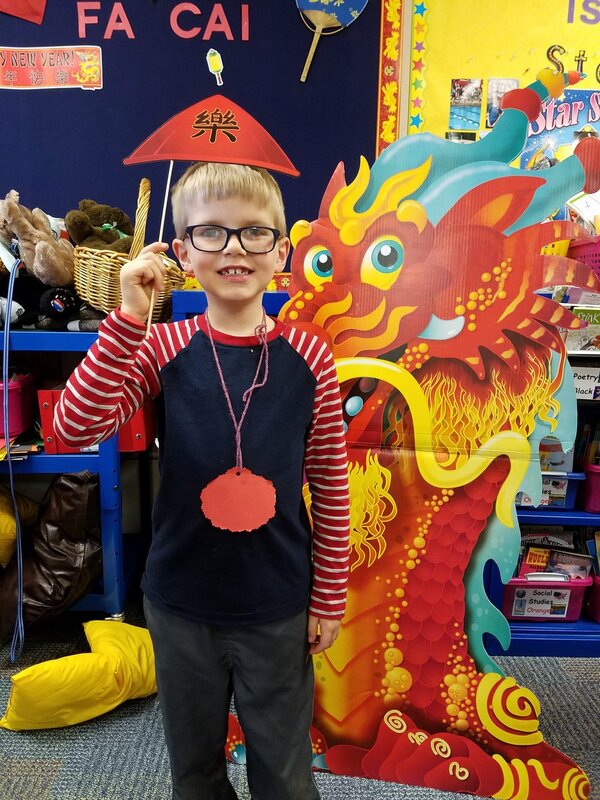 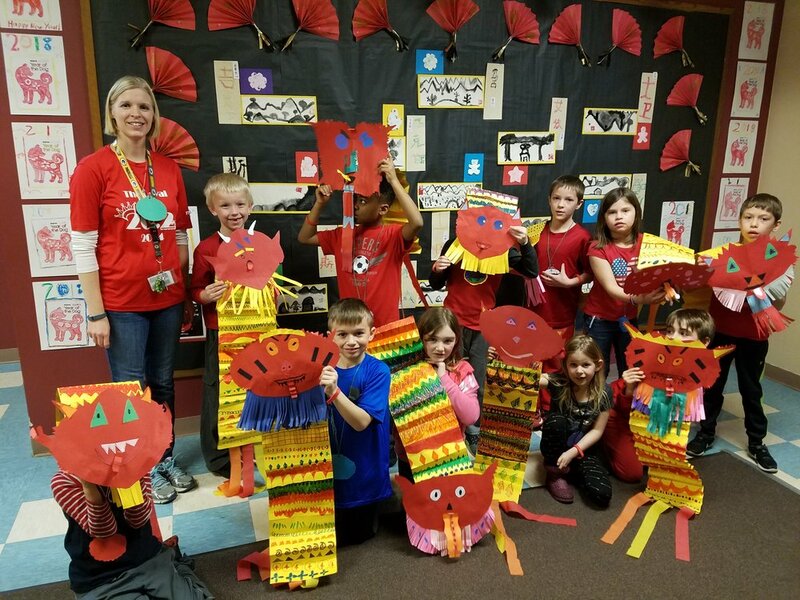 We enjoyed taking our dragons around school on a parade, visiting each class, and sharing what we learned during our Chinese New Year unit. 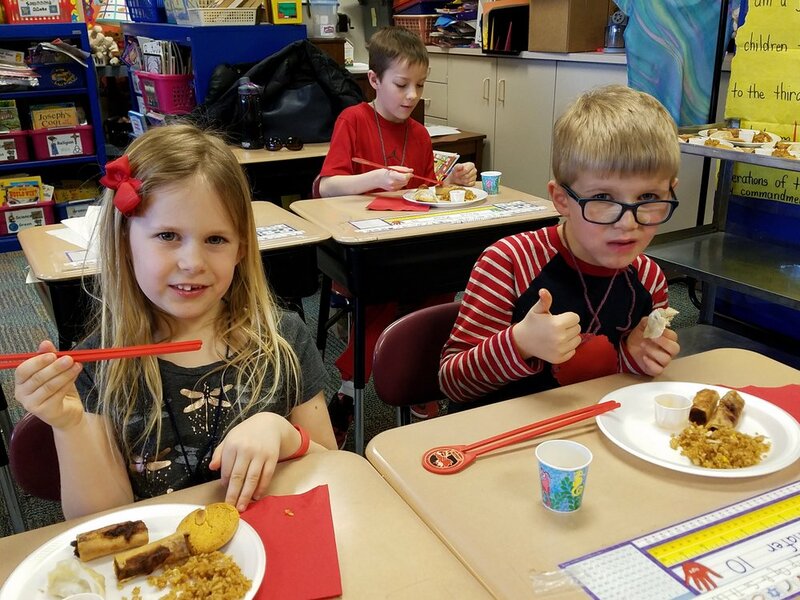 It's always fun to quiz each of the older grades to see what they remember! 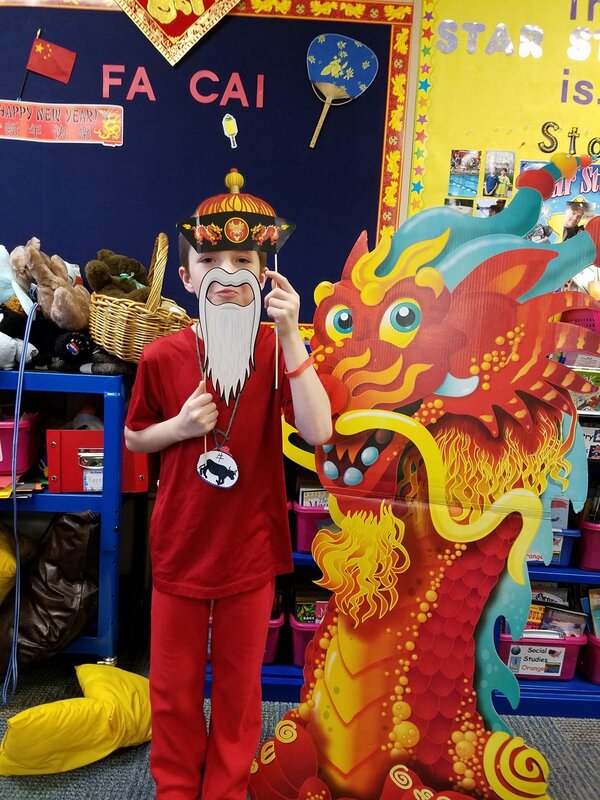 The older students love to join in with us on our song too. 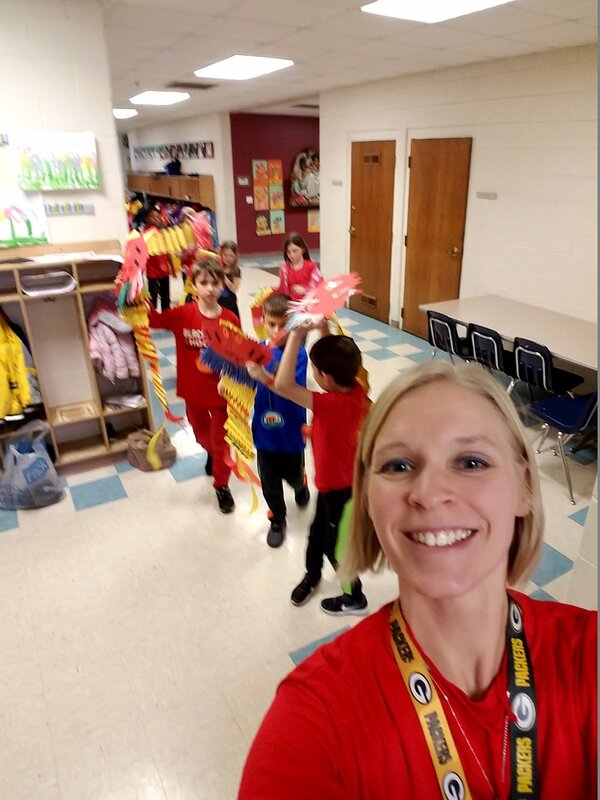 After the parade we stopped by our artwork in the hallway to take a class picture and when we returned to our classroom, there was a delicious feast waiting for us! 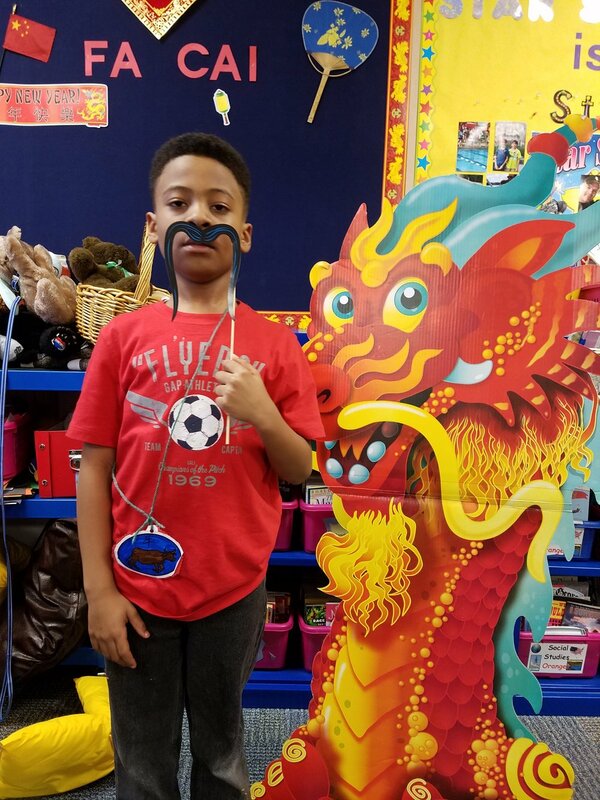 After our feast, we had fun taking pictures at the dragon photo booth. 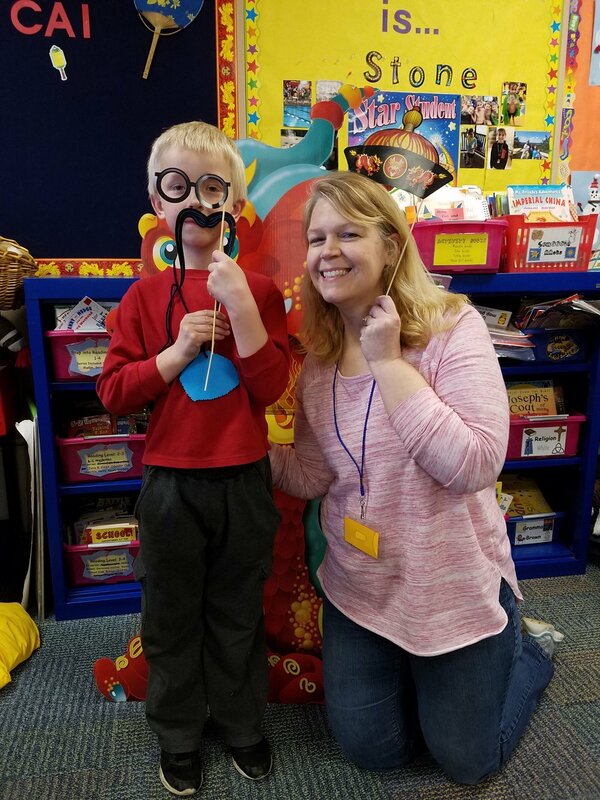 Thanks to all the parents who helped make our party possible!